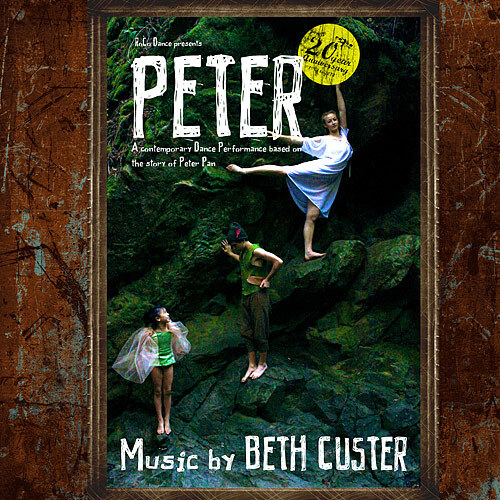 Music composed, performed, recorded, and produced by Beth Custer. Beth Custer: Bb & alto clarinets, voice, virtual instruments. Additional guitar track on Lost Boys performed by Tim Parr. Mastered by Dan Wool and Beth Custer. Special thanks to Annie Parr, founder of Roco, for the commission to create music for 200 tweens & teens, and for your inspiring work with budding dancers. Thanks to Tim Parr for his sense of humor, nice graphics, and for being guitarist extraordinaire! And thanks to Dan Wool for his big ears and patience.